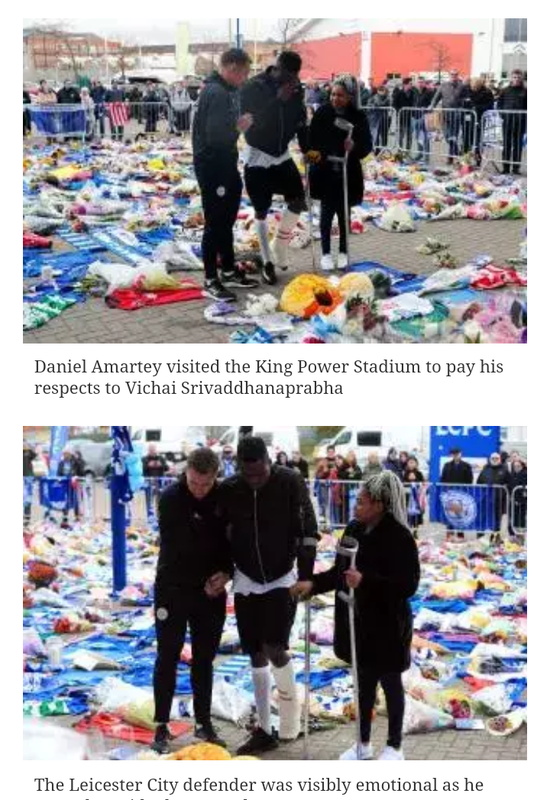 DANIEL AMARTEY has paid his respects to the late Leicester City chairman Vichai Srivaddhanaprabha by visiting the King Power Stadium today. Amartey, 23, visited the ground with flowers on crutches and was visibly emotional as he prayed. 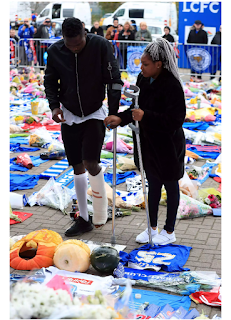 Srivaddhanaprabha lost his life alongside four others on Saturday night when his helicopter crashed just seconds after taking off from the King Power Stadium pitch. 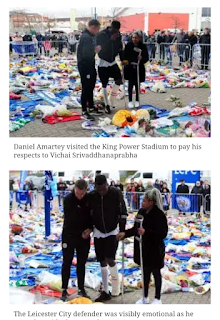 Leicester's squad went to the stadium yesterday alongside Khun Vichai's son and club vice-chairman Aiyawatt. 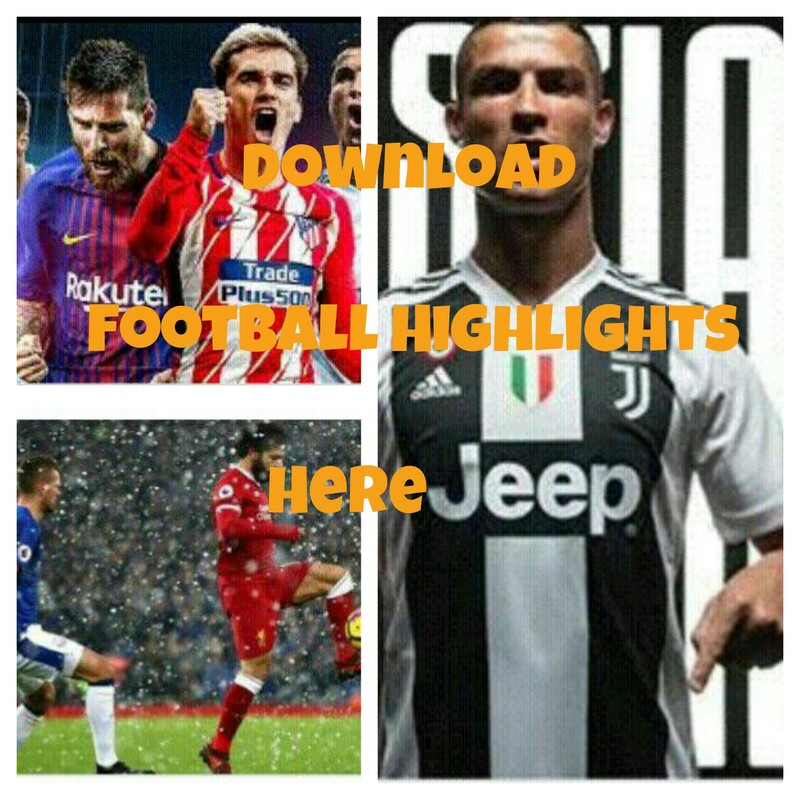 But the Ghanaian defender was unable to attend with his team-mates as he began his recovery from a serious ankle injury. Amartey went down in injury time of Leicester's 1-1 draw with West Ham, appearing to break his ankle before being stretchered off. And it was not until after coming out of "successful surgery" that the right-back learned of Srivaddhanaprabha's tragic death. 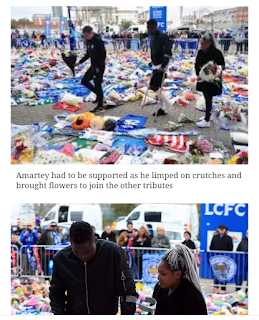 In an emotional Instagram post, Amartey said: "Thank you everyone for your encouraging words of support, but devastating to come out of a successful surgery to learn about our Chairman who has meant so much for this Club and for all of us players. "My prayers goes out to your family Boss." The club opened a book of condolences for fans to write their personal messages.